By Eric Abrahamsen, published April 13, 2016, 5:42a.m. The big recent news in Chinese children's literature is Cao Wenxuan's winning of the prestigious Hans Christian Andersen Award, sometimes called the "Nobel Prize for Children's Literature". It's a big deal inside China, where the media closely watches the progress of the prize. Like the Nobel, the prize is given to a writer for their entire oeuvre, not for any book in particular, but despite this everyone still points to works in particular. In this case, that's probably Bronze and Sunflower, translated by Helen Wang and published in the UK last year by Walker Books. In honor of the win, we conducted an email interview with Helen about her views on Cao's works (in case you didn't know, Helen is also one of the editors of Read Paper Republic, and is currently to be found representing PR at the London Book Fair). See below for the full interview. 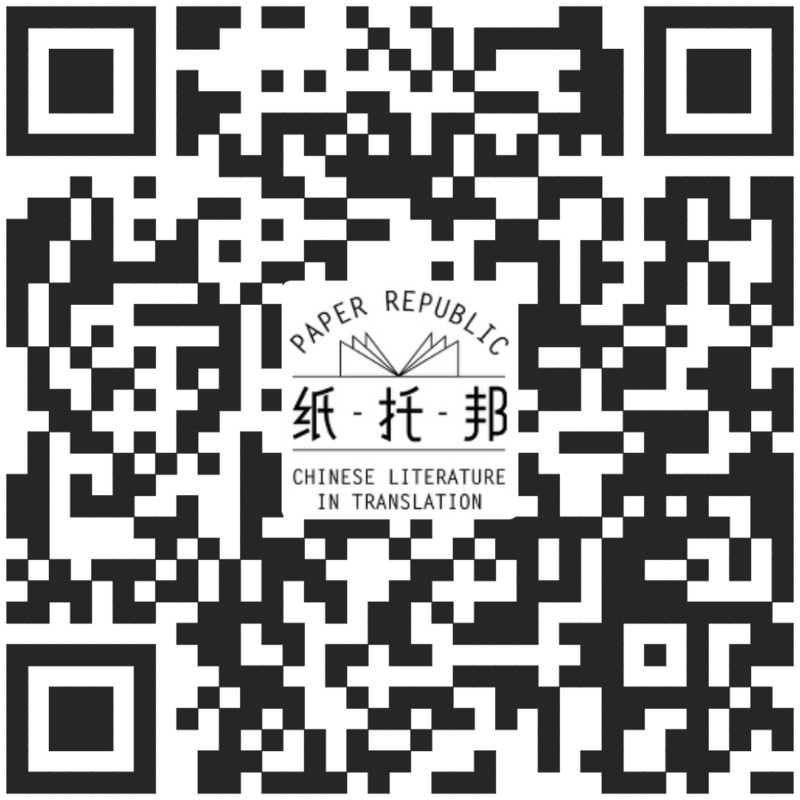 Paper Republic: Tragedy seems to be a consistent element of Cao Wenxuan's writing. Have you found that this makes his writing more or less accessible to Western audiences? My sense is that tragedy in children's fiction was once more acceptable to Western readers than it is now – do you think that's a fair assessment? Does Chinese children's fiction perhaps hearken back to an older Western tradition of children's literature? Helen Wang: When I first read Bronze and Sunflower, I was staying with my mother and sister, and I’d read a chapter at a time and tell them what happened. During that first reading, it seemed as though something horrific happened in every chapter, and that Sunflower was a bit of a goody-goody, who never did anything wrong. At that stage, I didn’t know how the story would come across in English. But as I was translating, the disasters seemed to move to the background, and it was the humanity that came to the fore. In Cao’s writing, horrible things happen – they are part of life – but the story is always about how the characters deal with the situation, how they make difficult decisions, and how they take action. You might not agree with their decisions, but you understand the thinking behind them. People who’ve read the story in English have mostly commented on the beauty and clarity of the language, the matter-of-fact-ness of the difficult situations, which they can visualise and to which they respond emotionally. These things seem to appeal more than tragedy. And everyone seems to love Nainai! By tragedy, perhaps you are also thinking of the strict moral code in the older classics. In more recent children's fiction written in English the morals are more relative. My sense is that a lot of humour, especially dark humour, has crept into English children’s books as well (for example, see the Lemony Snicket books). In China the moral ambiguity of these books probably doesn't sit too comfortably with the drive to "raise the quality of the people" (tigao renmin suzhi) and promote "self-development" (ziwo fazhan). PR: Can you tell us a bit about how the translation of Bronze and Sunflower came about? Did someone reach out to you? How did the publication come into being? HW: A fellow translator introduced me to the editor at Walker Books. She knew I had translated another children's book (Shen Shixi’s Jackal and Wolf 沈石溪：《红 豺》) for Egmont UK, 2012. Walker Books won a PEN Translation Award to publish Bronze and Sunflower. The PEN awards support the publishers: when publishers apply to English PEN for an award, they have to submit a copy of the original book, which is then read by an expert in the source language, who writes a report to the English PEN committee, which then chooses which titles to support. So, a huge amount of work went into the English PEN endorsement on the front of Bronze and Sunflower! PR: Some people on the Chinese internet are pointing out that Cao Wenxuan's writing often displays certain… outmoded gender attitudes. Can you talk a bit about this, from the point of view of the translator? Did you find any parts of the story a little uncomfortable from this point of view? Were any edits made? HW: I haven’t seen the comments you mention, but I imagine they are referring to boys being described as bigger and stronger, and girls being described as smaller, weaker, and more prone to tears; and to boys looking after/rescuing/saving the girls. I’ve found this in a number of Chinese children’s books, including stories by Cao Wenxuan. Sometimes it stands out, sometimes it doesn’t. Sometimes it’s in the story, sometimes it’s in the language. Sometimes it’s sweet, sometimes it’s offensive. The translator’s role is to deliver the story in English – and if there are any concerns about sexism, racism, disability-ism or any-ism, then these should be raised with the editor. In Bronze and Sunflower I don’t remember any edits made because of gender issues. Bronze is older than Sunflower, he has spent most of his life outdoors. Sunflower is younger, she’s moved from the city to the countryside, and she has had to cope with so many awful things in her short life that I think it’s OK if Bronze looks out for her, and helps her, and she bursts into tears now and then. PR: You've translated quite a bit of Chinese literature, including works by Zhang Xinxin, and by Shen Shixi, who is often referred to as a master of the "animal story" style of children's fiction. What do you see as some of the main differences between these writers' styles? How do you see them as representing Chinese children's literature as a whole? HW: Shen Shixi is a hugely popular writer in China, whose animal stories are full of action and tension. Like Cao Wenxuan, he presents his story in a matter-of-fact way, and his books are not for the squeamish. Jackal and Wolf is about a mother jackal who takes in a baby wolf cub (whose mother has just killed the jackal’s two cubs), intending to suckle her, fatten her up and, in due course, eat her. Of course, she can never bring herself to do that. An awkward mother-daughter relationship develops, further complicated by the fact that jackals and wolves don’t get on. The graphic descriptions combined with anthropomorphism from a Chinese point of view seem to hook some readers and repel others. My sense is that English readers either love this book or hate it, and it’s pretty much split down the middle! Maybe it's helpful to share a couple of pieces of real feedback? To quote Frances Weightman, of the Writing Chinese project at the University of Leeds, who liked it, "I found Jackal and Wolf a fascinating read both for the plot itself, and for the way in which it made me reconsider my expectations of ‘children’s fiction’, and particularly stories about animals. I came to the book fully expecting the animals to be anthropomorphic, which of course they were. But while a common criticism of Chinese fiction is that it can be excessively sentimental, Shen’s depiction of his animals, through Helen Wang’s vivid and fluent translation, retains the brutality of their nature in a very unsentimental, realistic way. The jackal and the wolf initially do what it is in their nature to do, and as such the depictions of their ‘inhumanity’ are relentless and shocking, but yet the relationship they form as the plot develops is extremely human." Those who didn't like the book mostly said the same things, but found it offputting rather than fascinating. Often people couldn't work out who the target audience might be, eg see this review by Outside In World "The only reservation with this novel of 281 pages, is what age to pitch it at and that possibly there is not enough of a storyline for an English audience. As descriptive as it is, there is a vast amount of text dealing with the hunting and fighting scenes, which may not appeal to everyone. Having said that, Jackal and Wolf is a touching animal fable about two mortal enemies that will give an insight into the wildlife existing in a remote part of China together with their concepts of nature and morality." Zhang Xinxin has written a graphic novel for children called Pai Huazi and the Clever Girl, based on her own childhood in Beijing on the eve of the Cultural Revolution. She also translated War Horse for the Chinese stage. But she’s better known for her writing for adults, her TV, film and theatre work, and for her online reviews of films and books on weibo. I'm convinced she functions at superhuman speed; translating her most recent work IT84 was an intensely rewarding experience. Cao Wenxuan and Shen Shixi are consistently in the Top 20 bestselling children’s books in China. Another very popular writer is Yang Hongying, famous for her Diary of a Smiling Cat and Naughty Boy Ma Xiaotiao series. There are always some translated titles too. Currently in the top ten (and consistently on the bestseller list) are Charlotte’s Web (E.B. White) and Totto-chan, Little Girl at the Window (Tetsuro Kuroyanagi) – both are wonderful books, beautifully written, with wholesome stories. But that’s not to say that these are the only books that Chinese children like! By far the bestselling children’s author in China is Leon Image, who has 5 adventure fantasy books in the top ten (2 x Charlie IX and Dodomo books, 2 x The Incredible Case Files, and 1 x Monster Magic). PR: You've recently translated another Cao Wenxuan story, "Huiwa", which will appear in the next issue of Pathlight magazine. This story – and much of Cao Wenxuan's writing in general – strikes me as actually very adult. The characters are children, the plots are ostensibly children's stories, but in fact the story is touching on Chinese society as a whole during the time when it was set -- the 50s and 60s. Do you think Cao's writing has a larger significance for Chinese society? HW: Cao Wenxuan is known as a writer of books for children, but he says he writes for everyone. He writes beautifully and with compassion. In the stories I’ve read so far, the main characters are usually social outcasts, but not of their own making. They may be very poor, or have a father who drinks or gambles - whatever the reason, society shuns them or is wary of them. Yet, they have done nothing wrong, and they have to find a way to live too. Cao Wenxuan’s characters are never 100% good or 100% bad, and this allows for shifts in the relationships. The stories can take place over months or years: we learn the origins of the social rejection, we see how the ostracised find their way, we watch them grow and assert their identity, and, crucially, see how society can open up and find a space for them. The stories are strong, positive and empowering. I hadn’t really thought about it before, but in the stories I’ve read so far, the mothers are usually absent or in the background, the fathers are often drinkers or gamblers. When there are grandmothers, they are rock solid characters. But it is the social outcast – the individual – who makes the breakthrough. PR: In China it's often assumed that children's book purchases are largely driven by parents, who are choosing books that they think are "good for" their kids. In Western markets, on the other hand, it seems to be the children who are driving purchases. Do you think this has an influence on the types of stories that are prevalent in these markets? HW: I think a lot of children's books everywhere (not just in China) are bought by parents, family and friends, and the kind of family and friends who are likely to buy books for children are also likely to think education is important. So maybe it's a question of what kind of education is valued? It's revealing that Totto-chan, Little Girl at the Window is also consistently in the list of bestselling children's books in China. It's a true story, about a little Japanese girl (the author) who was expelled from regular Japanese schools for not conforming, but who thrived at Tomoe Gakuen school, where children were encouraged to learn by following their own interests. Perhaps the popularity of this book is associated with frustrations with the regular Chinese education system and the establishment of smaller private schools? And with the drive to encourage more creative thinking? It's a lovely book, but I suspect it's being bought and read by adults rather than children – it's a big deal to remove your child from mainstream education and "experiment" with their education, and this book might inspire confidence. I recently came across the interactive book Dinosaur Express Delivery, by Dong Yanan (董亚楠 : 《恐龙快递》), which is quite explicit about the reader needing to combine knowledge and imagination in order to enjoy a journey through Dinosaur World. There's been a sea-change in Chinese children's books in recent years - the quality of production is stunning, there's a greater range of books hitting the spot between education and entertainment, and there are some delightful picture books for very young children. These books simply didn't exist before. The ones I've seen are full of positive things, the goodies and baddies are clearly defined, and so on. As for children choosing books for themselves, I think children in the UK and the USA probably have greater access to lending libraries than in China – public libraries and school libraries, where you can borrow books and take them home (without paying a rental fee). In these libraries, children are usually free to browse and choose whichever books they like (think of Matilda, by Roald Dahl, "From then on, Matilda would visit the library only once a week in order to take out new books and return the old ones"). thanks! a wonderfully insightful interview with a sensitive translator about a children's author whom I must now look into. AH HEMPSALL, July 31, 2016, 11:52p.m. Helen Wang, August 1, 2016, 11:28a.m. Thank you! Very insightful and useful interview for people who are translating Cao's works into other languagages (Italian)! Manuel Recchia, June 13, 2018, 6:52a.m.